Jennifer Lubkin and Andrew Screen have been busy implementing an ITEL project that explores the flipped classroom model in an ESL setting. 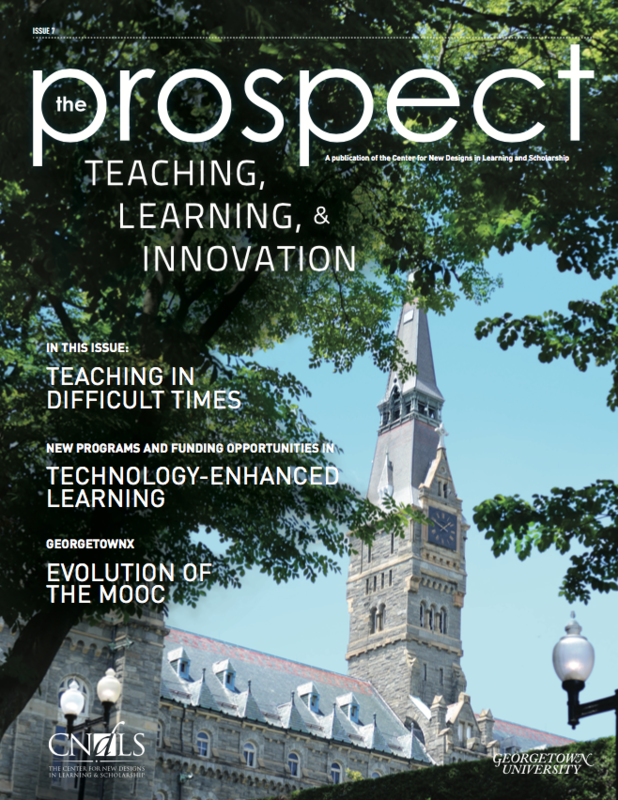 In the most recent issue of The Prospect, which can be viewed here, CNDLS highlighted Lubkin’s and Screen’s work; they received Level II funding from the first round of ITEL to flip their ESL classroom at the Center for Language Education and Development (CLED). They devoted last semester to a flipped model for their English grammar class. Their reason for flipping the class stemmed from a full curriculum and the amount of class time that was devoted to grammar explanations; to increase time for conversational practice and grammar exercises and to provide immediate teacher feedback, Screen and Lubkin moved grammar explanations to an interactive online format using the Open Learning Initiative (OLI) platform. Last month, before the end of classes, Screen and Lubkin had gone through two units with OLI. At the mid-semester, students provided positive feedback on the use of OLI. There was also more student participation in the second unit OLI flip as opposed to the first. Going forward, Screen and Lubkin hope to develop further student “buy in” so that their students understand why a flipped model is beneficial to their learning. Likewise, Screen and Lubkin hope to continue to navigate the challenge of teaching their students how to think about, rather than simply memorize, English grammar conventions. Screen and Lubkin plan to devote this semester to analyzing data from the fall semester’s flipped model to see where improvements in design and instruction (e.g. guiding students’ self-pacing) can be made. For more information about the CLED Flipped Grammar Project, visit: https://blogs.commons.georgetown.edu/itel-spring2013-jel72/. Posted January 22, 2014 by Caitlin O'Leary & filed under CNDLS, Featured Blogs.